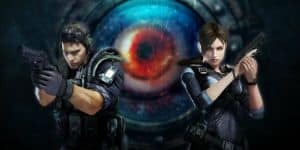 Resident Evil: Revelations Nintendo Switch Release Date | Nerd Much? Though the idea of playing a shooter game with just one tiny Joy-Con is not entirely appealing. In a recent announcement, Capcom has revealed the release date for Resident Evil: Revelations 1 and 2 coming to the Nintendo Switch, November 28, 2017. The games were previously released on the PS4 and Xbox One back in August, but only as a digital version. Now you will be able to get a physical copy for the Switch, which will include the first Revelations, the second game as a digital download voucher, and all previously released DLC. This will cost $39.99 USD. The Switch version also adapts some gameplay elements for the console, including Joy-Con motion controls, and the HD Rumble. The Raid Mode will be included as well, featuring the usual online play and local co-op. Though the latter is in Revelations 2 only. Though the idea of playing a shooter game with just one tiny Joy-Con is not entirely appealing. It was bad enough trying to play Snipperclips; accurate and easy to use a single Joy-Con is not. Hopefully in practice, the co-op mode will be more smooth than anticipated. You can purchase the games separate if you like, for $19.99 USD each. So if you like one better than the other, you’ll be saving a bit of money. Otherwise, it’s the same price and you might as well get the bundle to go with it. 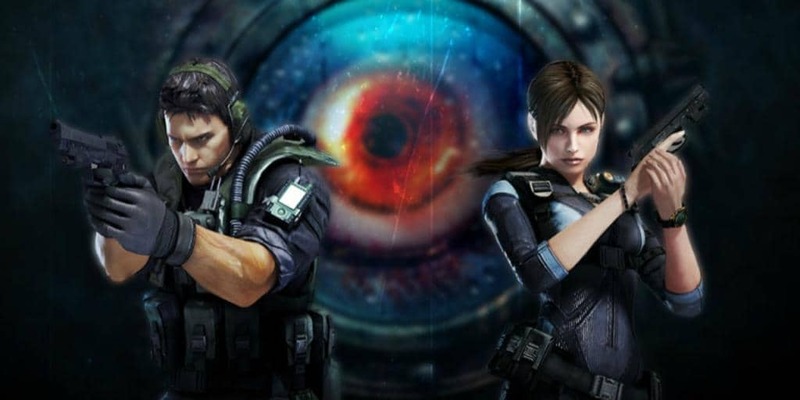 If you don’t recall, Resident Evil: Revelations sits between RE4 and RE5. You follow Jill Valentine and Chris Redfield as they once again attempt to put a pin in yet another bioterrorist organization called Veltro. Veltro is a little more creative than the last ones too, wanting to infect our planet’s oceans with a virus. It all goes wrong, of course, and the counter-terrorism group Bioterrorism Security Assessment Alliance (BSAA) are sent in to investigate and deal with the matter. So it’s up to Valentine and Redfield to get the bottom of things and escape before they too are consumed by humanity’s worst mistake.